The Poachers Pocket, Birmingham, B34 6HE. 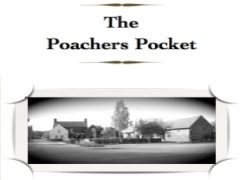 The Poachers Pocket pub review, map and rating. Looking for a Hotel near The Poachers Pocket? Brilliant place-we used it for a private family do and the catering and ambience were excellent.The listed barn is a perfect venue for a budget wedding/christening/birthday party set in its own grounds and the owner really cares for the individual and does his best to make it special for everyone. Our guests went away happy and content saying how much they loved the home cooked giant samosas! A definite jewel in the crown of Birmingham's hospitality. Disagree with above post. Since becoming a members pub, it is now finally family friendly. The kids have fun playing on the football table while I have a nice drink. New owners have refurbished nicely too! Very poor "pub". The place has no atmosphere and is definitely not worth visiting.